This month I would like to emphasize a distinguished program that we offer our local communities on an annual basis. I refer to the Grand Encampment’s Holy Land Pilgrimage Program begun years ago by our own P. Fred Lesley, PGC and which has now spread across the United States. We offer the opportunity for individual commanderies to sponsor and send their local Christian ministers to the Holy Land. The tour is under the direction of an experienced guide and archeological scholar with years of accumulated knowledge about the actual locations and events surrounding the very basis of our faith. We offer an opportunity which many ministers never have available to them in their entire ministry, but which once undertaken, gives them a first-hand perspective of the very places where the events described in the New Testament occurred. I have spoken to many Senior Pastors who would have loved to have had the opportunity to visit the Holy Land earlier in their ministry. Sir Knights, we have the means to provide that opportunity. Let us take advantage of it by identifying a local minister who is in the earlier stages of his or her career, and by making a joint commitment to provide that opportunity for them. How does your Commandery do this? First, establish a fund for that purpose, and add to it periodically by holding fund-raising events and whatever else you desire until you have accumulated enough funds to cover the cost of sending your minister. Once that goal is reached, approach your prospective candidate and ask if he/she would be interested, complete the necessary forms found through a link on our Michigan Grand Commandery website (mi-kt.org) and send them in. That’s all there is to it. After the arrangements have been made through our Holy Land Pilgrimage Committee, you visit his or her church and make a presentation at the pulpit. You may also accompany him or her to the airport to wish them bon voyage. There are several benefits to doing this. (1) A team effort is required during the fund raising phase thus enhancing camaraderie within your Commandery; (2) You will have a local minister for religious observances who can relate first hand their experiences in the Holy Land; (3) You will obtain visibility for the Knights Templar within your community and thus perhaps spark the interest of potential new Sir Knights; and (4) You just might stimulate inactive Sir Knights to become involved in the effort. Let each Commandery make the commitment now to send your minister to the Holy Land in February, 2015. We had twenty-eight Sir Knights in line at Grand Lodge to honor Grand Master Bill Leveque after he took his obligation on his way to the dais. It was a fine show of support for our new Grand Master of Masons in Michigan. See the picture on our website. 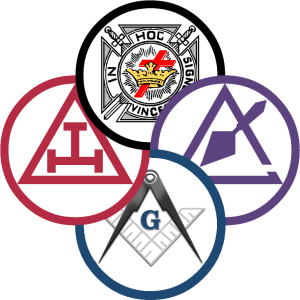 I look forward to seeing many of you this month around the state and especially in the Upper Peninsular with the Grand Chapter of Royal Arch Masons for our special all order day. See our website for details.